What determines a song of the summer these days? Is it Billboard chart performance, streaming saturation, terrestrial radio airplay, word of mouth, how often you hear it in the club or booming from car stereos? Last summer, Vulture crowned Cardi B, then on the rise, as the artist of the summer rather than making a case for an individual song. “Despacito,” which ticked all the aforementioned boxes, and dominated for considerably longer than a single season, had already won by a landslide before the solstice even began, but Cardi’s career at that point better encapsulated the cultural shift that was happening. The story is no different this year: Drake’s “In My Feelings” meets all the same criteria as “Despacito,” having set new streaming benchmarks. And yet, none of that data has made “In My Feelings” our Song of the Summer, or Drake this year’s Artist of the Summer. In 2018, deciding which song defined the summer relies on just one metric: clout. That’s internet speak for fame-chasing by way of making content go viral on social media. And this summer, the king of clout is a guy named Shiggy. There are two things to know about Shiggy: He previously existed seemingly only on Instagram … and he’s a star. He’s a 25-year-old from Queens, part of the next generation of comedians whose stand-up consists of no-budget skits shared to his nearly 2 million followers. But there’s a third and essential claim to Shiggy’s fame: He’s solely responsible for “In My Feelings” becoming a hit, despite having nothing to do with the actual song. By now you’ve probably heard of a craze called the “In My Feelings” challenge. It’s a fairly simple dance routine — which means it’s easy to imitate and post on your own social channels — where you throw up a heart sign timed to Drake’s desperate plea of “Keke, do you love me?” followed by mimicking turning a steering wheel to “Are you riding?”, all combined with a frenzy of hopping and bouncing around that more or less passes for choreography. The concept for the dance was originated by Shiggy, who filmed the whole thing in the middle of the street in the dark and posted it to his Instagram the same night Drake’s Scorpion was released. At the time, “In My Feelings” wasn’t a single — it was only a few hours old — but it was the standout of the bunch and Shiggy seemed to know it before even Drake and his team did. 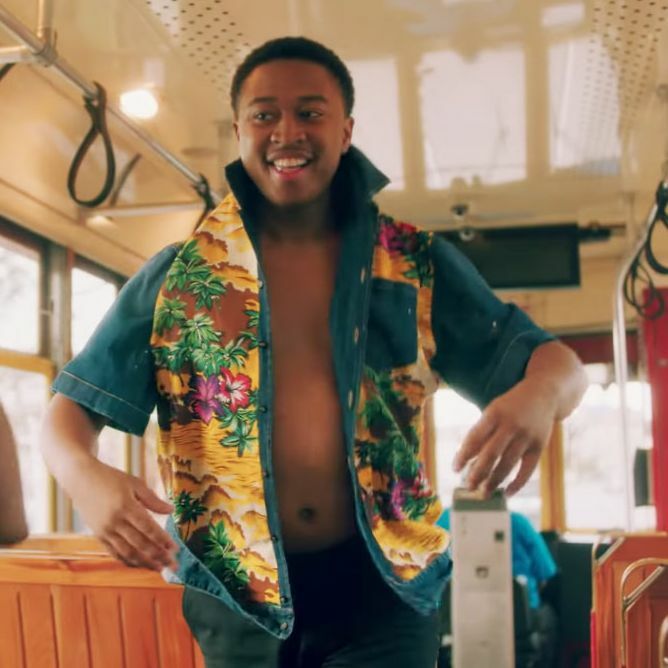 He essentially decided it was a single for him, just like Ella Mai’s fans did with “Boo’d Up.” Overnight, the dance challenge based on Shiggy’s video exploded (with people adding their own ridiculous spin, jumping out of a slow-moving vehicle to start the dance). Two weeks later, the song went No. 1 and Drake partied with Shiggy to celebrate, giving him sole credit for the song’s success. Every celebrity under the sun soon accepted the challenge, with Will Smith the obvious winner. A little over a month later, Shiggy co-starred in the song’s official video. (Shiggy’s original video is now closing in on 7 million views.) But clout like this is rarely achieved by accident — there’s tactic to it. Manufacturing content to go viral was also already in Shiggy’s wheelhouse: When he posted the original video, he made sure to give himself credit by hashtagging it #DotheShiggy, the alternate name for the challenge. What is influence without the influencer to trace it back to? Clout also can’t really be accurately quantified, not when people’s follower counts are overrun by bots or paid for in bulk. “I did get a blue check on Instagram,” Shiggy tried to reason with Charlamagne Tha God at the time, attempting to explain how this all translates to worth. Meanwhile, it still remains curiously unclear whether Shiggy ever received any actual bankable checks for propelling the song, prior to appearing in the music video. Dance challenges and viral videos are nothing new to the internet, but their relationship to music on the scale of Shiggy and “In My Feelings” is actually pretty rare. In 2013, Baauer released “Harlem Shake,” and the song took on a life of its own, thanks to a viral video started by YouTube comedian Filthy Frank, in which he and some friends stood around swinging their arms then burst into full body flailing at the beat drop. The stunt was imitated and proliferated on social media so many times that it forced a rule change at Billboard to make YouTube views eligible for its Hot 100 chart, which allowed “Harlem Shake” to shoot straight to No. 1. Since both “Harlem Shake” and “In My Feelings,” dance challenge videos are the new norm for any artist chasing a hit and wishing to speed up the process. A day after releasing her new song, “Level Up,” Ciara took the opening choreography from its music video and cut it down to social-media size to issue the #LevelUpChallenge. Chance the Rapper now has his own (less effective) “Wala Cam” dance challenge going, too. None of these newer challenges are coming about as organically as “Harlem Shake” or “In My Feelings” seemingly did, but it’s going to get even trickier to tell if any of them were ever organic to begin with. But new ones will come along, and they will get bigger: For most of the decade “Harlem Shake” held the record for largest streaming week ever, and Drake and Shiggy just beat it.